The coastal and marine areas at Gnaraloo are magnificent but fragile natural assets, notable for their sense of remoteness and pristine beauty. They feature a variety of environments, including sandy beaches, lagoons and the Ningaloo Reef, one of the world’s largest fringing coral reefs. It provides a habitat for numerous marine wildlife, including whale sharks, dugongs, manta rays, humpback whales and endangered sea turtles… Its remarkable ecological values should be fully protected and the Gnaraloo Wilderness Foundation working with governments will fight for the protection of this national treasure. The Ningaloo Coast World Heritage Area is a protected wilderness area and considered one of the most outstanding natural places in the world. World Heritage status is awarded by the United Nations Educational, Scientific and Cultural (UNSECO) Organisation to sites that are deemed to possess ‘Outstanding Universal Value’. This means cultural and/or natural significance so exceptional that it transcends national boundaries and is of common importance for present and future generations of all humanity (Department of Parks and Wildlife, WA, 2016). • Land and sea contrast – for the lush and colourful underwater world of the Ningaloo Reef in contrast with the rugged desert land. • Diversity of habitat – the rare mix of intact and diverse terrestrial, coastal and marine habitats form an incredible interconnected ecosystem. 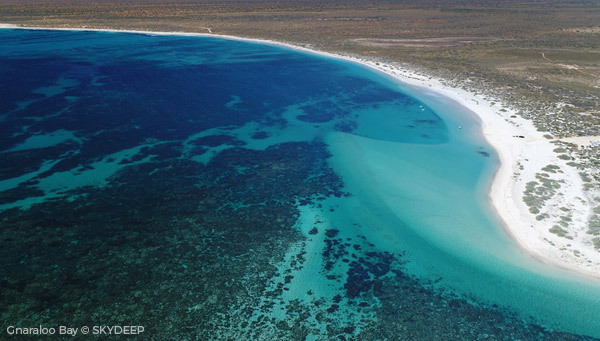 • Ningaloo Reef – one of the longest fringing reefs in the world. The reef’s biodiversity includes more than 200 kinds of coral, more than 500 kinds of fish species and hundreds of other animal species including crustaceans, mollusc, echinoderms (e.g. sea stars, sea urchins, sand dollars, and sea cucumbers) and sponges. • Marine megafauna – for internationally important and rare marine megafauna, including whale sharks, orcas, whales, dolphins, manta rays, dugongs, sharks and turtles. 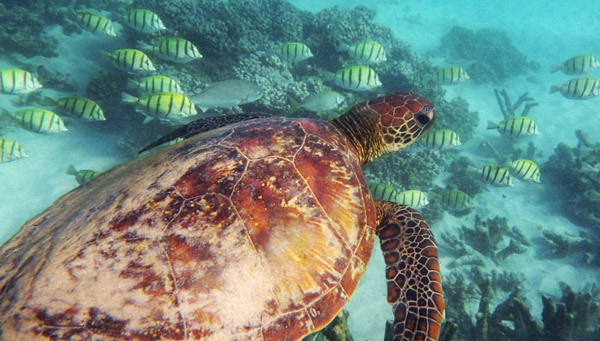 • Turtle rookeries – the Ningaloo coastline hosts important turtle rookeries in the Indian Ocean for three threatened species the loggerhead, hawksbill and green turtles. Gnaraloo falls within and immediately adjacent to the Ningaloo Coast World Heritage Area (2011) as well as the Ningaloo National Heritage Area (2010) and the Ningaloo Marine Park (1987). The Gnaraloo coastline is notable for its isolation, beauty and limited development. The marine environment at Gnaraloo has a variety of habitats, including sand, intertidal and subtidal coral reefs, lagoon and seaward subtidal reefs and shoreline reefs. 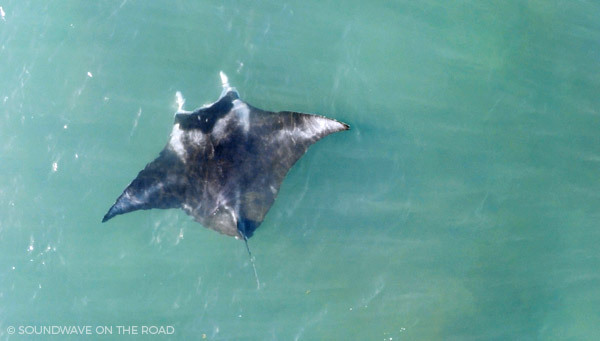 The limited development has created a perfect environment for marine flora and fauna to thrive and the area has been named as an International Biodiversity Hotspot (Marine) (International and National Biodiversity Hotspot Map, State Government, Western Australia, 2006). Public vehicle access north of Gnaraloo Bay is closed and the northern part of Gnaraloo is an ‘Area of Environmental Management Priority with high conservation value which should be managed to a high status of protection’ (Western Australian Planning Commission, 2004). The Ningaloo Marine Park stretches 300km from Red Bluff at Quobba Station, immediately south of Gnaraloo, past Gnaraloo to Bundegi in the north. The Ningaloo Reef borders the shoreline at Red Bluff. While considered a barrier reef off the coast of Gnaraloo Bay, the reef leaves the coast at Gnaraloo Point and becomes Australia’s largest fringing coral reef. 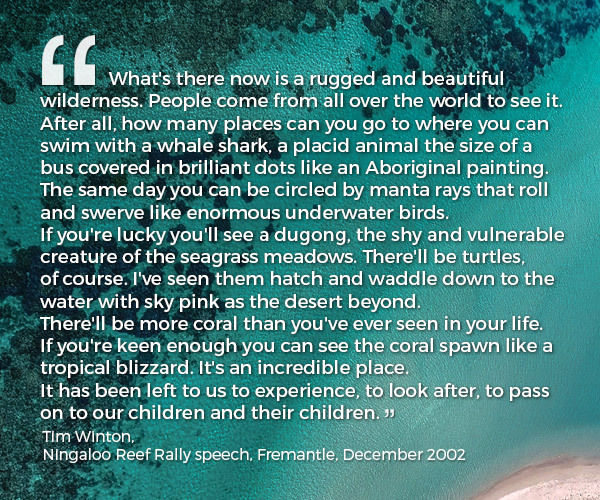 The Ningaloo Reef is one of only two coral reefs in the world that have formed on the western side of a continent and is considered Western Australia’s premier marine conservation icon (Department of Parks and Wildlife, Western Australia, 2016). 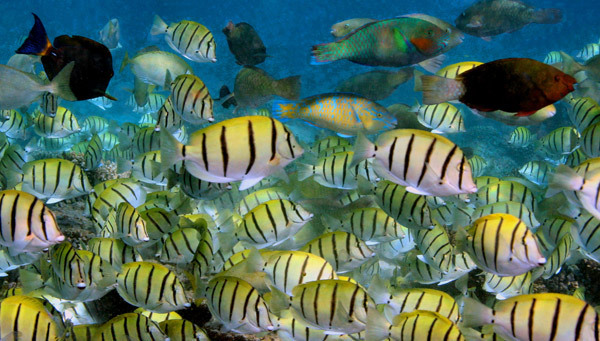 Reef ecosystems are highly sensitive to any human disturbances. Please donate if you can to help us protect the Gnaraloo Wilderness Area for all of us and future generations. At Gnaraloo, from south to north, there are four Marine Sanctuary zones of the Ningaloo Marine Park: Turtles, Three Mile, Gnaraloo Bay and Cape Farquhar. The latter two marine sanctuary zones are of particular interest for turtle conservation, with the Gnaraloo Turtle Conservation Program conducting turtle nesting surveys on Gnaraloo Bay and Gnaraloo Cape Farquhar beaches that overlap or are in close proximity to the Marine Sanctuary zones. Within these zones, there are strict restrictions on activities that may occur. All fishing and collection activities are banned. 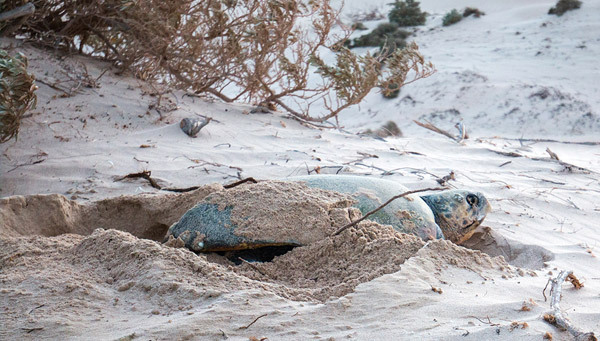 Both the Gnaraloo Bay and Gnaraloo Cape Farquhar areas are known as important nesting locations in Western Australia for nesting loggerhead sea turtles (Caretta caretta). The Ningaloo Commonwealth Marine Reserve borders the western edge of the State Ningaloo Marine Park, covering 2,435km2 with water depths ranging from 30m to more than 500m. It incorporates a diversity of habitats including the continental slope and shelf, as well as pelagic habits in the open ocean. The Ningaloo Commonwealth Marine Reserve provides essential biological and ecological links that sustain the Ningaloo Reef and its biodiversity, including the supply of nutrients to reef communities from deeper waters further offshore. 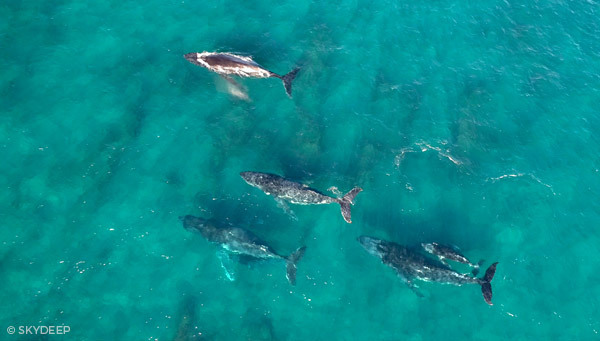 These waters are visited by whales such as humpback, blue whales, minke, Bryde’s, southern right and orcas, whale sharks and dolphins (Department of Parks and Wildlife, Western Australia, 2016). Department of Parks and Wildlife (DPAW), Western Australia (2017). Ningaloo Coast World Heritage Area. Visitor Guide, April 2016. Department of Parks and Wildlife (DPAW), Western Australia (2017). Ningaloo Coast News Autumn 2017, April 2017. Western Australian Planning Commission. (2004). Ningaloo Coast Regional Strategy Carnarvon to Exmouth. August 2004. Casale, P. Riskas, K. Tucker, A.D. & Hamann, M. (2015). Caretta caretta (South East Indian Ocean subpopulation). The IUCN Red List of Threatened Species, 2015, retrieved from http://dx.doi.org/10.2305/IUCN.UK.2015-4.RLTS.T84189617A84189662.en. Department of Environment and Conservation (DEC, 2011). Ningaloo World Heritage Flyer, Australian Government, released 1 August 2011, Exmouth. 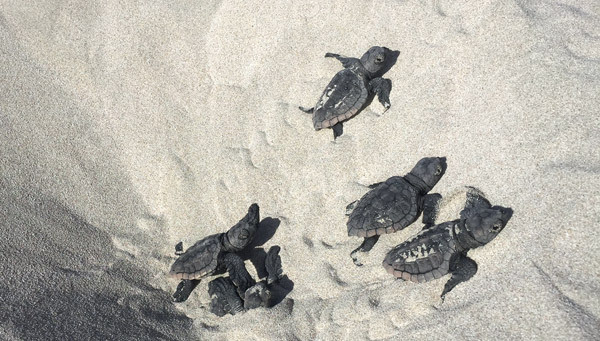 The scientific Gnaraloo Turtle Conservation Program identifies, monitors and protects key coastal nesting rookeries of endangered sea turtles on the Gnaraloo remote beaches. During sea turtle nesting seasons 2015/17, the Gnaraloo Turtle Conservation Program undertook the first ever satellite tracking of loggerhead females that nest on the Gnaraloo coastline. We are a not-for-profit charity working to protect the natural environment at Gnaraloo and rely on your donations for support. Small or large, every donation helps to make a difference! Want to help us to protect endangered sea turtles at Gnaraloo?